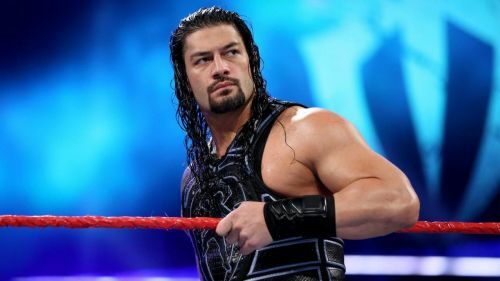 WWE have confirmed that Roman Reigns is returning to RAW tonight and he has a big announcement to make. However, they have not revealed anything else related to this, apart from the fact that he will be on Good Morning America as well. Wrestling Votes have an update on this story. They claim that it's not just the WWE Universe that has been kept waiting for the announcement but also the backstage. Roman Reigns' departure from WWE last year was one of the most heart-breaking moments in recent history. He was the Universal Champion at that point when he had to head for leukemia treatment. The announcement of his leukemia relapse was also kept secret and only a handful of people knew about it before he broke the news inside the ring. Rumors now suggest that Reigns has responded to the treatment and has recovered as well. He was expected to be out for a year at least but this return is an amazing surprise to the WWE Universe. Whether he makes his in-ring return tonight or not, it will still be a piece of huge news for everyone at WWE and the WWE Universe. Wrestling Votes claim that everyone backstage has been kept in the dark regarding this announcement but it is expected to be a positive one. Tune in to WWE Monday Night Raw tonight to find out what exactly Roman Reigns has to say. GMA have also revealed that Reigns will be making an announcement on their show too, so that is a must watch for the WWE Universe as well.